Yay! I'm so excited about Renegade Craft Fair and about these new postcards I had printed for the occassion. To get them in the mail today was such a delight, I just want to send them to everyone I know! I intend to sell them individually and as a set of five. I made one specifically for Los Angeles because I know people are into that sort of thing, besides the fact that I love this city and want to share my enthusiasm for the food truck culture here. 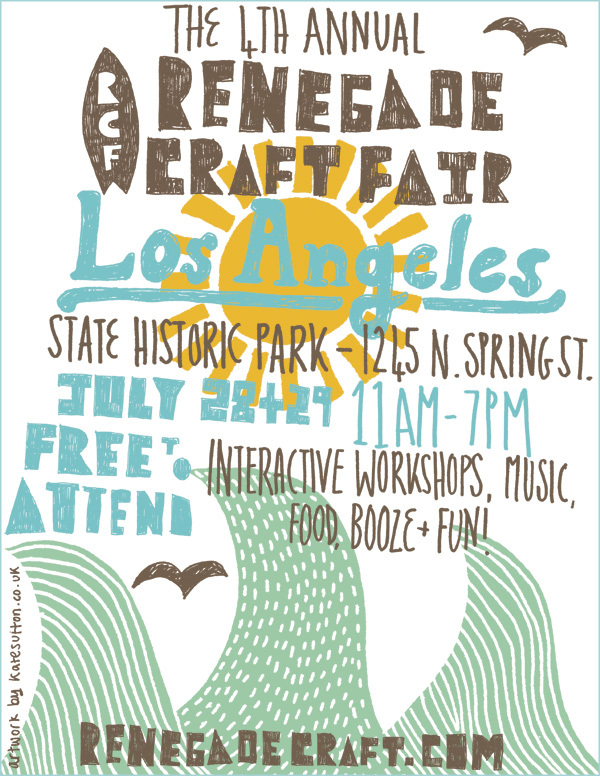 Reminder: Renegade Craft Fair Los Angeles, July 28th and 29th. 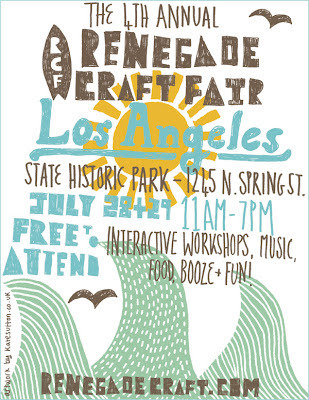 I am honored to be participating in the 4th Annual Reneagde Craft Fair in Los Angeles. It'll be my first one and I couldn't be more excited. I began selling my work at craft fairs about 4 years ago in England. The experience gave me a lot of inspiration and satisfaction and of course motivation to continue my crafty artwork. I've been selling on Etsy, which is great, but it's just not the same thing as being face to face with your customer. I'll be sharing a booth with the very talented Jenny Smith of Teddy Bear Republic. If you live in the area, please please please come by and check out this event! It's Saturday and Sunday, July 28th+29th in downtown LA. There are over 200 vendor, food trucks, and a photobooth.